Welcome to the Bangladesh Biochar Initiative (BBI). The BBI is a volunteer endeavor for sharing information on biochar technology in Bangladesh, fostered by the Christian Commission for Development in Bangladesh. Participants include rural extension workers, technicians, homestead gardeners, students and scientists. The BBI hosts seminars and workshops, and will summarize local research results as they become available. Biochar is charcoal specifically made for adding to soil. It is made from organic residues that are carbonized at temperatures between 450 – 750 °C in the absence of oxygen (pyrolysis) or with restricted oxygen (gasification). Jute stick and rice-hull briquette biochar from a gasifier cookstove. People have known for millennia that the ash and charcoal remains from hearths are good for plant growth. However, only in the last couple of decades have soil scientists realized that charcoal can be particularly beneficial for tropical soils that are low in organic matter, because biochar is much more resilient to decomposition in soil than normal plant residues: biochar may be used to create long-lasting increases in soil organic matter and plant productivity. Climate change and global population growth make the use of biochar even more important. With biochar we can increase crop tolerance to stresses caused by variable weather, and increase food security at the local level in homestead gardens. An ideal use for biochar is in organic waste management. When biochar is combined with compost or manure it will adsorb soluble minerals and nitrogen, and reduce gaseous loss of nitrogen to the atmosphere. Biochar systems are usually carbon-negative, sequestering carbon dioxide from the atmosphere and storing it in the soil. For more information on the science of biochar, go to the International Biochar Initiative. The science of biochar is quite young with World-wide research picking-up momentum around 2000-2005. New discoveries are being made about its production, uses and safety. New technology, however, must be appropriate to Bangladesh. It needs to be debated, modified and tested, and the results distributed. 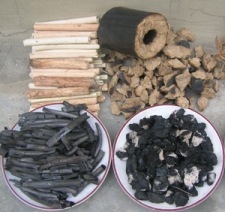 For example, there is no ready supply of biomass in Bangladesh for making biochar. Most of the biomass is already spoken for as cooking fuel in rural and peri-urban households. 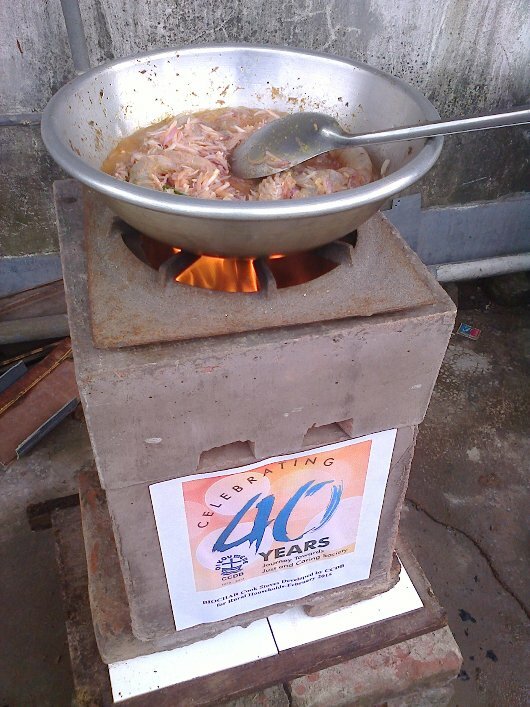 A possible solution is to use gasifier cookstoves that make biochar as a by-product. However, stoves developed in other parts of the world may not be acceptable to our cooking needs, or work with our fuels. Therefore, we need to use the principles of gasification, consult stove users, and see if we can adapt foreign stoves or come-up with new designs. Facilitating this process through the exchange of information and collegial connections is the role of the BBI.